The Great Romantic of Russian Film Music – and one of the most prominent Russian composers of the "era of Shostakovich's " (the words in quotation marks are those of the great Anna Akhmatova) - People's Artist of Russia, laureate of the State Prize of Russia, holder of the Order "For Services to the Fatherland, IV degree"; Grand Prix winner of many international film festivals in Cannes, Venice, London, Berlin, Trieste, three times awarded the "Nika" the highest cinema award in Russia. Isaac Iosifovich Schwartz (Исаак Иосифович Шварц) was born in Romny Chernigov region, Ukraine the 13 May 1923 and died in Siversky, the Russian Federation the 27 December 2009, aged 86. He was also known as Isaak Shvarts. His family moved to Leningrad in 1930 and in 1932 he began leaning to play the piano under his teacher A. Zamkova. In 1935, at twelve years old, he took part in a concert of young talents in the Great Hall of the Leningrad Philharmonic - playing brilliantly Chopin's Piano Concerto no. 1 with the Leningrad Philharmonic Orchestra. As a result Professor L. Nikolaev offered Schwartz to start taking lessons from him. Soon after, however, a tragic event hit the Schwartz family, that completely changed SchwartzÕs fate - his father, who was professor of archaeology at the Leningrad State University, was arrested December 9, 1936 by the NKVD and executed two years later as part of the Great Purge. In the summer of that year, Isaac, and his mother was exiled from Leningrad to Kyrgyzstan in the city of Frunze (now Bishkek). The 14 year old Issac had to take the role as breadwinner in the family and he began giving private piano lessons to children of local officials and giving 3-4 classes a day at the same time as going to school and he still made time for independent music lessons as well as occasionally accompanying the silent films at the cinema with live music. In 1938, Isaac Schwartz started taking composition lessons from the talented teacher B. Feret. In the following years of exile he gained valuable professional skills while working as concertmaster of the Kyrgyz State Opera and Ballet Theatre. During World War II he guided and directed the Song and Dance Ensemble of the Frunze Military District. Here Schwartz met with Maria Dmitrievna the sister of Dmitri Shostakovich. When in 1945 the term of exile ended and at her request, Shostakovich took Schwartz back to Leningrad and contacted professor B. Arapov at the Rimsky-Korsakov Conservatory in Leningrad with a request to give entry to a young very talented musician, despite a weak theoretical knowledge in class composition of the first year, on the condition that Schwartz would exercise intensely theoretical discipline. Issac Schwartz was allowed entry and he graduated with a diploma in composition in 1951. Only years later did he learn that Shostakovich had actually paid for his education. When Shostakovich was dismissed from the Conservatory, Schwartz was asked to denounce Shostakovich, but he flatly refused. During the years of his study Schwartz wrote a sonata for violin and piano (in G minor), a string quartet, songs based on poems by Pushkin, Tyutchev, Fet, Polonsky, Heine and Variations for Piano and Aria for Violin and Piano. These works disclosed for the first time the creative aspirations of the young composer. This applies in particular to the violin sonatas, with warm lyrical contrasts and a musical genre of images and natural freshness of melodic and harmonic language. 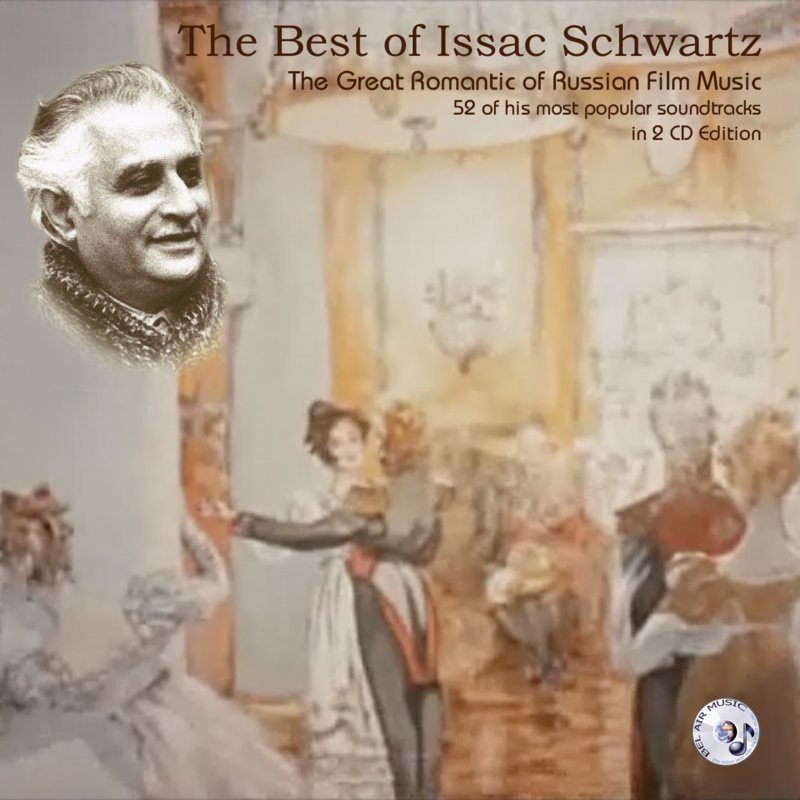 Schwartz romances, written during his years of study, has been performed in concerts by famous singers such as S. Shaposhnikov, N. Welter and others. His acquaintance with the composer O. Evlahova, proved a fruitful and creative communication that Schwartz developed during the last two years of his stay at the Conservatory (1950-1951). He wrote the cantata "Ballad of the Motherland" with lyrics by A. Chepurova for the soloist (bass), chorus and orchestra in three parts; a ballad for baritone and orchestra "The Soldier and the blizzard" with lyrics by M. Svetlov; songs on poems by V. Orlov and S. Schipacheva, as well as the first part of the Symphony in F Minor and essays - all brought Schwartz the first major success. The symphony was completed in 1954. This work is in four parts - a lyric and epic story of a young composer, his contemporaries, which is characterized by spontaneity and fervour of youth, active potency of thoughts and the nobility of feeling. From romantic impulsiveness, emotional anxiety to intense search of manly determination, will and energy - such is the way of emotional development of the music. The work was received with applause by the listeners at its premiere Nov. 6, 1954 and was for many years a repertory of works by Leningrad Philharmonic. In 1955, the Symphony was performed at the VIII Plenum of the Union of Soviet Composers in Moscow where Isaac Schwartz was admitted to the Union. In the following years Schwartz wrote a bright, colourful orchestration "Youth Overture" for orchestra (1957) the ballets "Eve" (libretto A. Belinskogo) and "Wonderland" (libretto L. Yakobsona). The Leningrad State Academic Maly Theatre of Opera and Ballet was inspired by the story of the ballet "The day before" (1961) with the images of the famous novel by Ivan Turgenev. Ballet music organically showing the fascinating story of the people and the events of the novel in which Schwartz was able to project a "lyrical pathos" of their heroes and heroic impulse and intermittent rough intonation of speech makes it beat a faster pulse of music in the tense moments of the lives of the characters. A suite from the ballet is still performed by many orchestras in Russia. Another ballet, "Wonderland" (1967), staged at the Leningrad State Academic Opera and Ballet Kirov, was in collaboration with the composer's outstanding choreographer Leonid Yakobson. The story of the war against fascism is here clothed in the form of Russian fairy tales. The collaboration with Yakobson was an important milestone in the creative life of the composer. With the famous choreographer, Schwartz also wrote "Stronger than Death", "Exploit", "Bacchanal" and "Lyrical Waltz". The last ballet "White Nights" was dedicated to the 300th year anniversary of St. Petersburg, and performed at the Hermitage Theatre in St. Petersburg. The possibility of a creative collaboration with the most prominent artists of the Theatre attracted Schwartz to work on musical accompaniment of dramatic performances. In the late 50s he wrote the music for the famous productions "Idiot" by Dostoevsky and "Woe from Wit" by A. Griboyedov performed in the Leningrad Bolshoi Drama Theater named after Gorky. The famed director continued repeatedly to call on Schwartz's music, working on productions of "The Defiant Ones, and "The Wise Man Stumbles" by Alexander Ostrovsky, etc. At various times, the composer has collaborated with other Moscow and Leningrad Theatres. He is composer of music for the productions of "Profitable" by A. Ostrovsky (Leningrad Pushkin Theatre, directed by R.Suslovich), "The Forest" by A. Ostrovsky (Director V. Motyl), "Rumour" A. Salynskogo (Moscow Mayakovsky theatre, directed by Goncharov ) and others (more than 35 performances). The Theatre fully revealed the striking lyrical talent of Schwartz with inherent subtle psychology and extraordinary musical flair. Best known for his film music, Schwartz composed his first scores of film music in 1958/59 to the films "Unpaid debt", "Our correspondent" and "Baltic Sky". Since then the film work for many years was central to the work of the composer. He has successfully worked with major Russian filmmakers like I. Pyrev, M. Romm, V. Vengerov, M .Shveytser, Y. Karasik, V.Motyl, S. Solovyev, N. Gubenko, G. Aronov, A. Bobrovsky, Herman, P. Todorovsky, R. Nahapetov, A. Kordon and others. He went on to compose the music for more than 120 films, including White Sun of the Desert (Белое солнце пустыни, 1969) and The Captivating Star of Happiness (Звезда пленительного счастья, 1975). Perhaps his best known work outside of the Soviet Union was for Akira Kurosawa's 1975 film Dersu Uzala. He won the prestigious "Nika" Award of the Russian Academy of Cinema Arts and Sciences in 1992 for his music in the films White King, Red Queen (Белый король, красная королева) and Luna Park (Луна-парк). 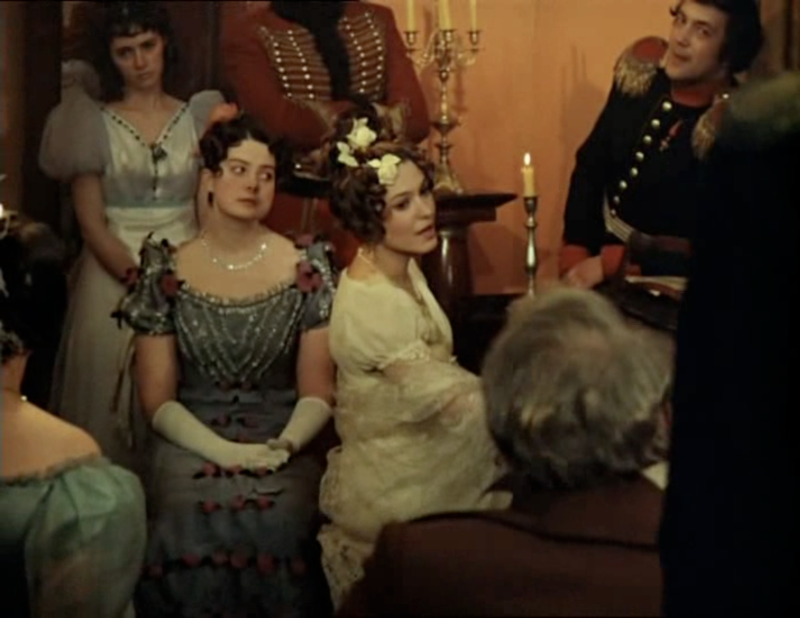 Many others are included in the golden fund of the national and international cinema: "The Brothers Karamazov", "The Living Corpse", "The Wild Dog Dingo", "Family Happiness", "Carousel", "Escape of Mr. McKinley", "Straw Hat", "Yegor Bulychov", "The Postmaster", "Hundred days After Childhood", "Life of leisure", "Favorites", "Open", "We are not crowned in the church" "White Nights", "Blonde around the corner", "Check on the roads" and "Do not shoot the white swans". Schwartz's music is in the film as an integral part of their artistic essence. Schwartz has a remarkable ability to lyrically interpret the events on the screen in music" (V. Motyl). When the famous Japanese director Akira Kurosawa began filming "Dersu Uzala", from the many composers he met, he chose Schwartz. In an interview, Kurosawa said: " We took extremely long time to choose the composer; I watched a lot of movies to learn about the work of those whom I was recommended and when I saw the film and heard the wonderful music in "The Station Master" (an adaptation of Pushkin), we immediately asked the composer Isaac Schwartz to write the score. 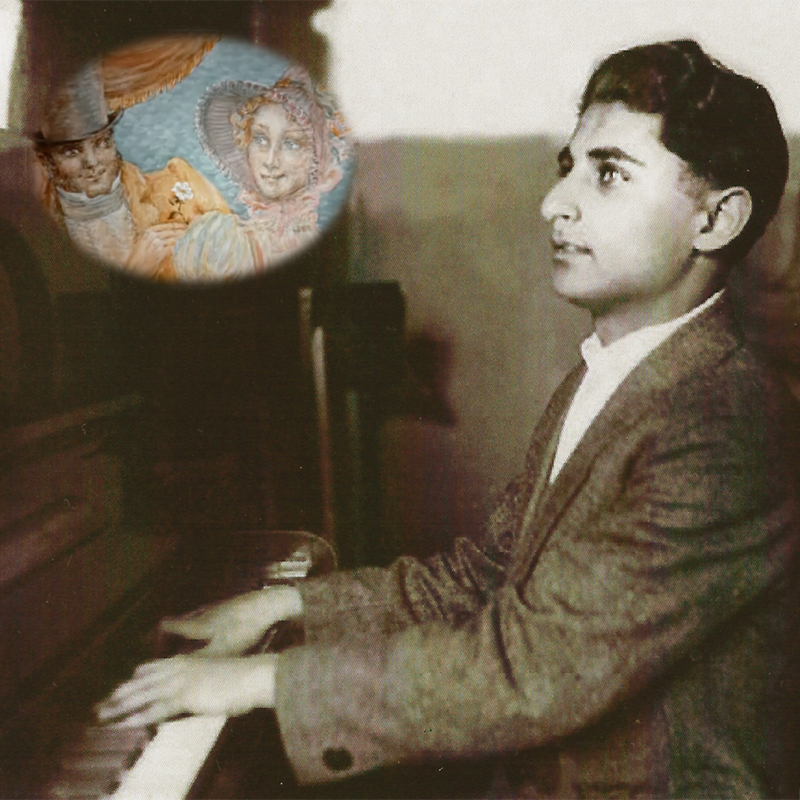 With his extraordinary ability to use different types of compositional techniques, Isaac Schwartz appreciated above all sincerity, simplicity and natural melody in his music that are full of kindness and benevolence. The composer always remained true to these musical elements, where a gentle melody, sad smile and drama combined his kindness, love of people, striving with them to reflect on their sorrows and joys. In many of the tunes, songs and ballads of the movies, Schwartz left the screen and gave them an independent musical life. Like in "The Song of the Horse Guards" ("The Captivating Star of Happiness"), the song "Your honour" ("White Sun of the desert "), the song "Love and Separation" ("We are not crowned in the church") and many others. The music has been performed in concert halls from films such as "Yegor Bulychov", "Melodies of the White Nights" and "The Stationmaster" etc. In 2000 Schwartz wrote his second symphony, the Concerto for Orchestra "The Yellow Star" (Gelbe Sterne Ð Purimspiel im Ghetto) in seven parts. The documentary notes of one of the prisoners from the Kovno Ghetto in Lithuania inspired Schwartz to write this work. It is especially moving in the composer's description of Purim - a "fun" holiday that has become inhuman conditions in the death "holiday" camps with a noose around his neck. Isaac Schwartz devoted his concert to the memory of the Holocaust victims. The Concert is a lyrical hymn to the courage, wisdom, dignity and a sense of unity of people who have overcome the fear of death. The premiere took place on 10 May 2000 in the Great Hall of the St. Petersburg Philharmonic. "We have not heard in the Philharmonic new music of such poignant sincerity and beauty" - written in the newspaper "Neva time" after the premiere. The National Philharmonic Orchestra of Russia, conducted by Vladimir Spivakov, performed the Concert again in 2005. Free sample, track no. 14 (CD1) "Declaration of Love" from "Two under an umbrellar"
® & © 2013 Bel Air Music®. Made in EC. All rights reserved.